Republican presidential hopefuls Scott Walker, the Wisconsin governor, and Mike Huckabee, the former Arkansas governor, are scheduled to bring their campaigns to San Diego Thursday. The candidates will speak at the 42nd annual meeting of the American Legislative Exchange Council, which bills itself as the nation’s largest nonpartisan voluntary membership organization of state legislators. On its website, the organization touts limited government, free markets and federalism. The conference attracted more than 1,000 protesters involved with organized labor and social justice groups, which contend that ALEC provides a way for legislators and corporate lobbyists to meet outside the public eye. Walker was first elected governor in 2010, survived a union-led recall vote in 2012 and was re-elected last year in a state that leans Democratic in presidential elections. In March, he signed legislation making Wisconsin the 25th U.S. right-to-work state, which places restrictions on union organizing. 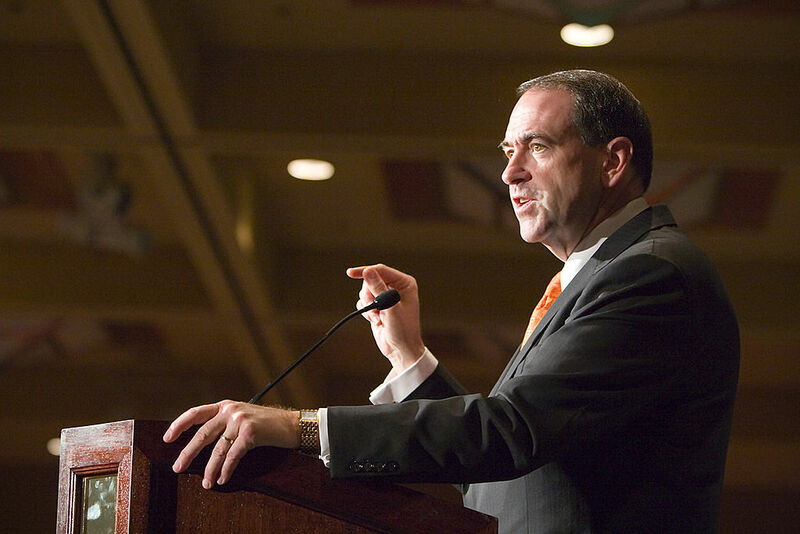 Huckabee served two full terms and part of another in the Arkansas statehouse, has twice run for president and hosted a Fox News television program for about seven years. Walker, who is scheduled to speak at a breakfast event, was second in an ABC News-Washington Post poll of presidential candidates that was taken Saturday, with support from 13 percent. 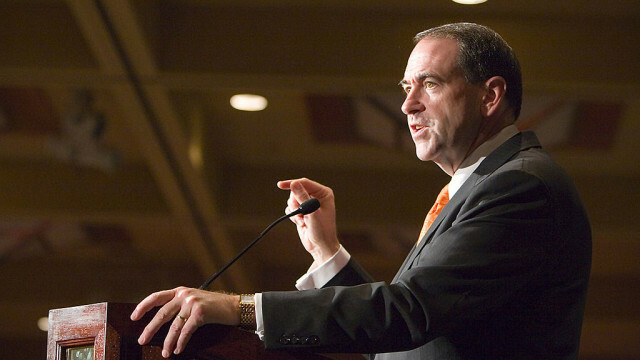 Huckabee was fourth with support from 8 percent of GOP respondents. Sen. Ted Cruz, R-Texas, was set to speak at ALEC Friday, but he canceled because of a scheduling conflict.